Hi. I was on accutane for 6 months last year from January to June and my dose was 60 mg. biggest regret of my life. Anyway no point in getting into that. I've been left with really horrible scars and I'm wondering if anyone knows if they will go away or should I get a treatment? They make me feel really miserable! I will add although I had very mild acne my skin was so young looking and smooth in most areas now it's very old looking. I've been using bio oil for the past few days. Should I stick with this? hi nicholas. I too feel it was the biggest regret of my life. luckily i only did 20mg for 4.5 months. But it was still enough to cause damage shall we say. I never used to scar or be left with hyperpigmentation but now I have! I plan to wait 1 year until after the day I stopped the accutane and begin derma rolling or stamping. Not sure I'd recommend Bio oil. 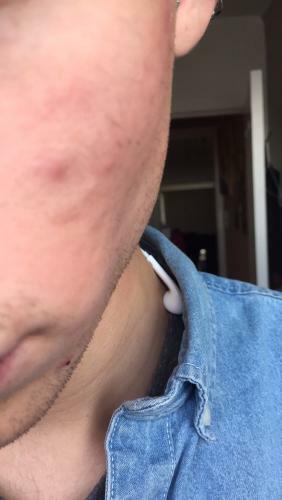 It can block the pores. Maybe try a vitamin C serum? I'm guessing you were like me, skin didn't have a tendency to scar and now it has left you with scars? Yea it's really depressing. How deep are your scars? I feel so so ugly. My friends and family tell me I look great but I think they are just trying to spare my feelings..
Do you think my face is stuck like this for years. Could it ever be smooth and nice again ?? i don't think yours are that bad tbh with you Nicholas and believe me I don't lie to anyone I am not here to make people feel good. I just like helping people who need it. I think derma rolling would help you to smooth out the cheeks most certainly, your forehead looks *perfect in my eyes as does other areas of the skin and generally the colour is even so it looks uniform. So I don't think you need to worry too much on that note. It could be a hell of a lot worse! believe me. Just looks like the cheeks got a bit scarred here and there and the redness needs to die down, agree? So yeah i don't think your family are lying to you, but I DO know how you feel. I also think people don't analyse it in the same way you or I would on our own in the mirror at really close proximity. Did you have any scarring before the drug? I am interested to know wether the drug caused them for you or if they were there before. My scars are not deep luckily, but there are lots of them, red marks and small rolling scars on my left cheek mainly. 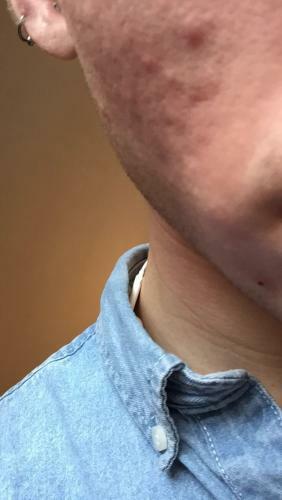 Two obvious indents on my forehead which are pink/brown as well and about 5 or 6 semi-permanent red marks that are not seemingly fading. Every new spot I get leaves textural changes even when I don't touch it at all, where as before accutane this never ever happened. only if i picked them really hard. 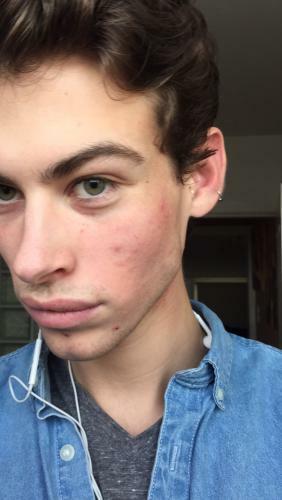 Honestly redness would be gone in 24 hours before accutane, and spots wouldn't leave a lingering mark or indents. This is what i was totally unaware of, the skin changes not just side effects, i.e permanent thin skin, weakness and prone to marks and scars. I even broke out with folliculitus after I stopped the drug. Just wish wish wish i hadn't done it.. but you can only go forwards. I truly wish I had my old skin back and just found the key to the acne and blitz my body with an anti cancer drug... i feel crazy that i did it! I hope in time the skin will become as good as it can be again, but i think for now its about concentrating on good diet and putting weight back on, adding weight can also pad out the scars. But from all my past and recent research the best method (after a long time off tane) is to derma roll. 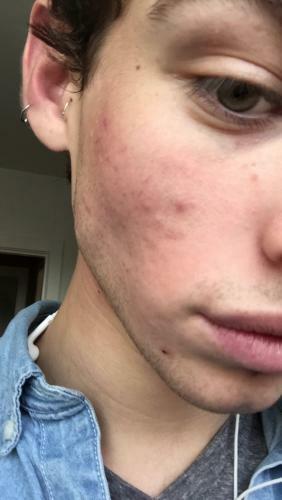 I am trying to find examples of people who have had success with derma rolling after a course of accutane at any point in their lives because clearly we wouldnt want to damage it further. The whole point of derma rolling is to induce a damaging effect to ramp up the bodies natural healing capacity through collagen regeneration. thanks, and sorry about the really late reply. I guess late is better than never, agree? 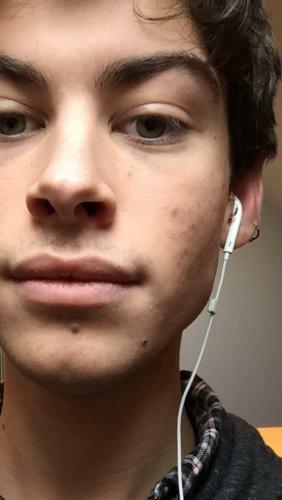 In answer to your question before accutane, if my memory serves me correctly my skin didnt really have a tendency to scar because I think it was producing more oil or sebum - whatever you want to call it - maybe i'm wrong with that theory but i'm pretty sure my body healed alot quicker even with cuts, scratches etc. It's so strange looking at this because when I wrote this, I was going through severe depression so I think my looks were a lot more important to me, not that they aren't anymore but i've been through so much so perfect skin isn't really my main priority any more. But saying that I still really really want smooth cheeks! Maybe I just need to give it time? I'm scared to use the dermaroller in case it ends up scarring me even more than I already am. Anyway how are things with you, and your skin? Are you feeling any better? 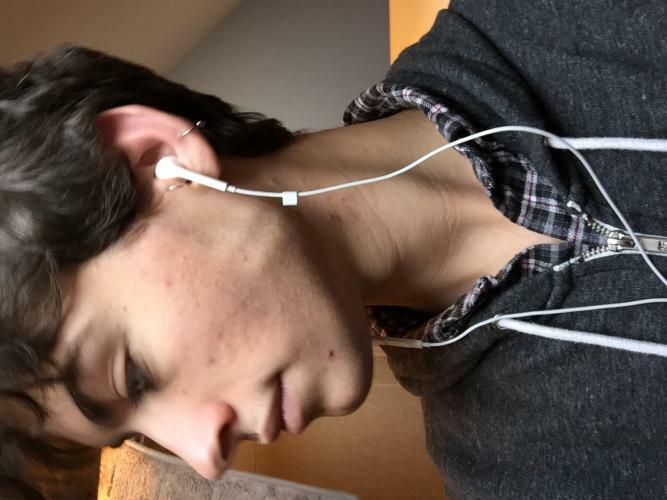 Holding on to the regret of going on accutane was definitely contributing to my depression, so now I try and look at my life choices from a different angle.